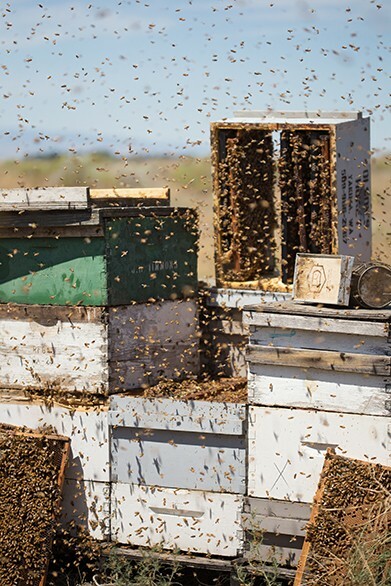 This week, Deanna Pan writes about bees, colony collapse and what beekeepers are doing about it. 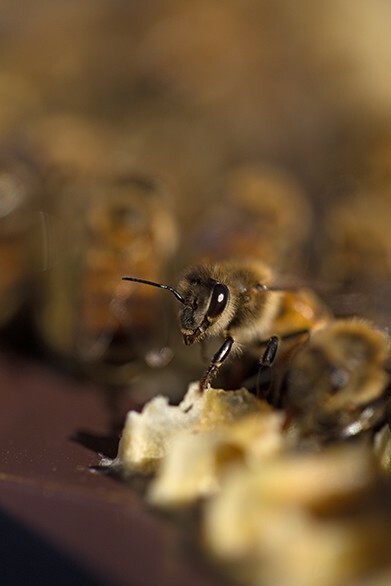 Below are photographs of two commercial beekeepers who employ different methods of hive management. 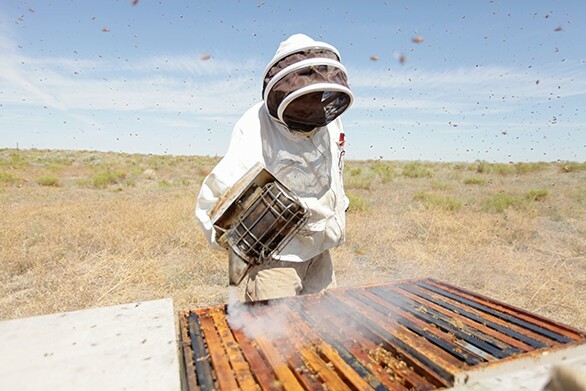 Mark T. Durst and Sons, photographed in Medical Lake, prefers to use a hands-off approach to hive management while Olson's Honey, photographed at their facility in Moses Lake, has used more active approaches, including using CO2 to keep their bees alive during the winter months. 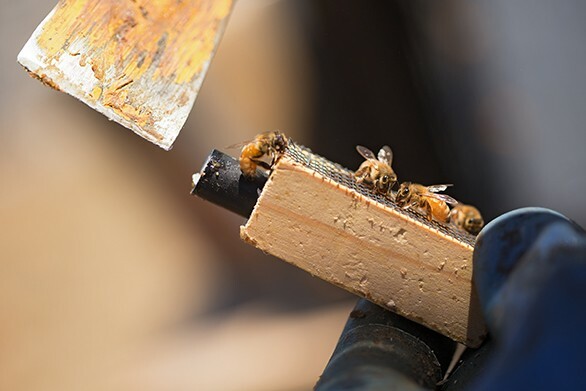 A bee works in a hive at Mark T. Durst and Sons. 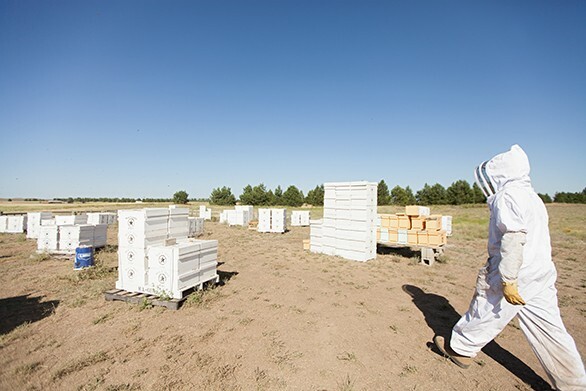 Owner Mike Durst walks into a field holding hives at Mark T. Durst and Sons. 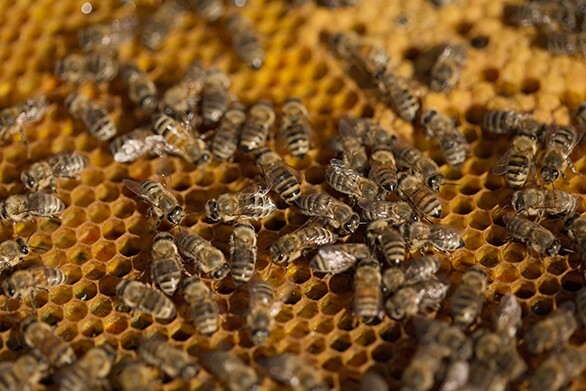 A queen, center, is surrounded by her brood at Mark T. Durst and Sons. 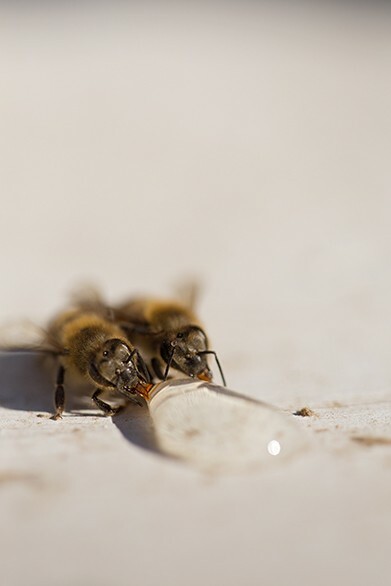 Two bees drink spilled honey at Mark T. Durst and Sons. 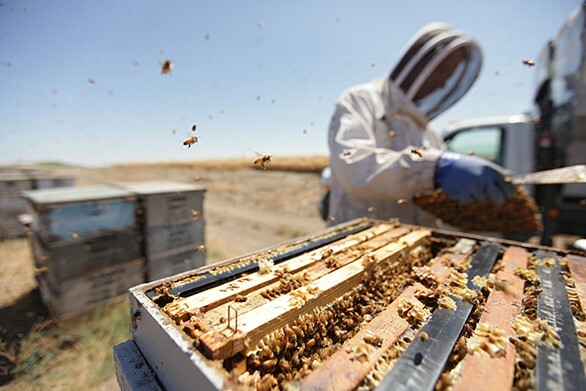 Owner Mike Durst moves a hive at Mark T. Durst and Sons. 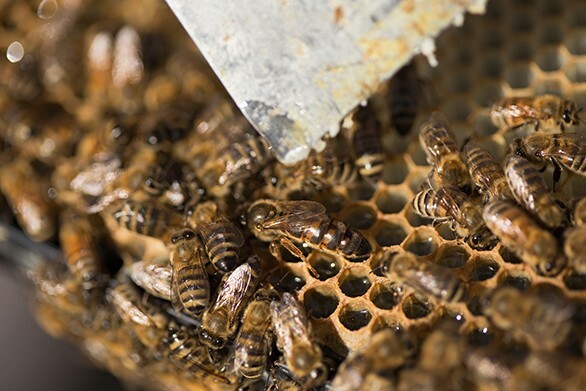 Bees work in a hive at Mark T. Durst and Sons. 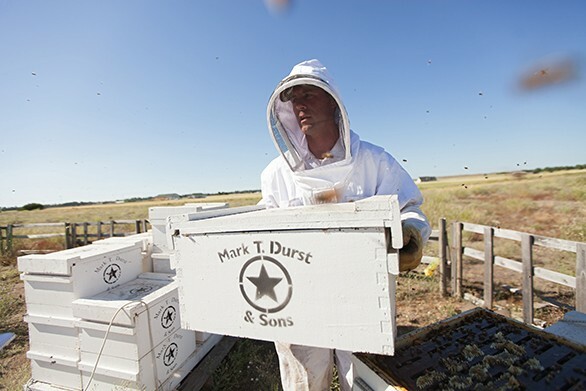 Owner Mike Durst opens a hive at Mark T. Durst and Sons. 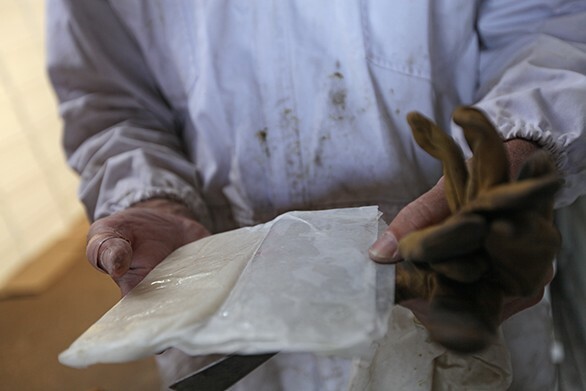 Owner Mike Durst holds beeswax at Mark T. Durst and Sons. 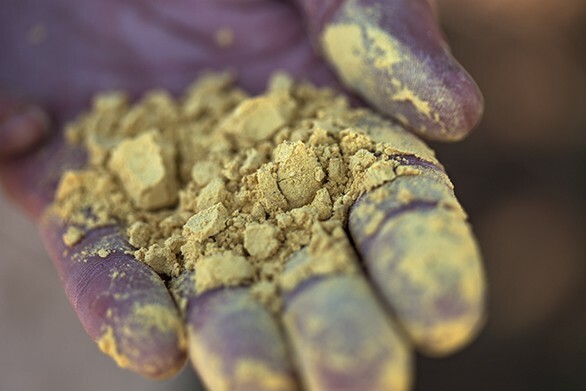 Owner Mike Durst holds pollen at Mark T. Durst and Sons. Owner Mike Durst examines a bee hive frame at Mark T. Durst and Sons. 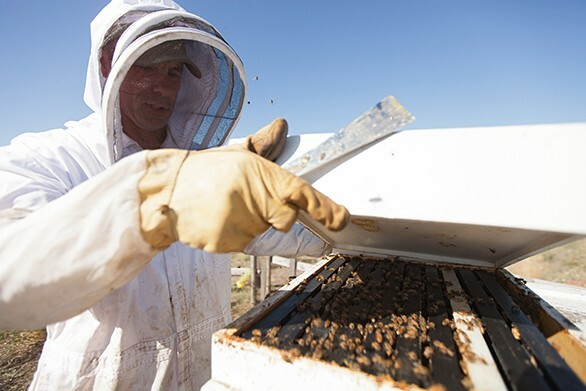 Owner Mike Durst holds an essential oil patty for bees at Mark T. Durst and Sons. 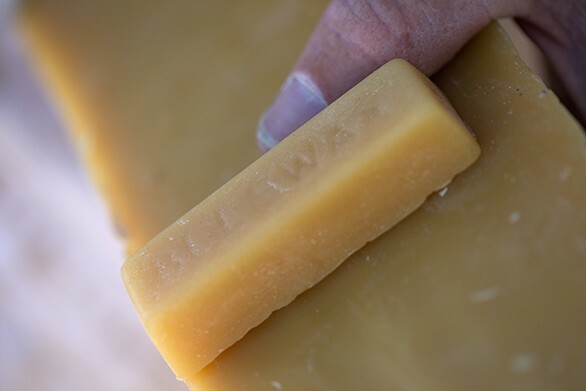 The essential oil patties are food for the bees and contributes to their health. 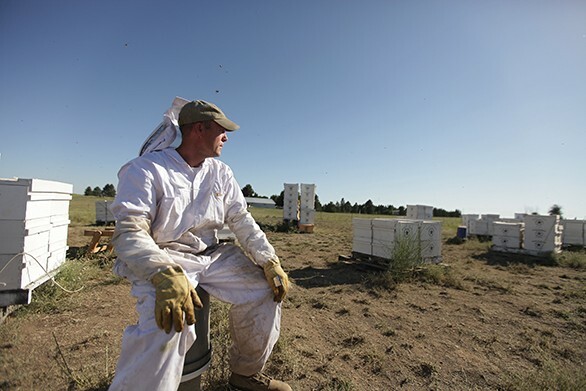 Owner Mike Durst sits in the midst of his hives at Mark T. Durst and Sons. 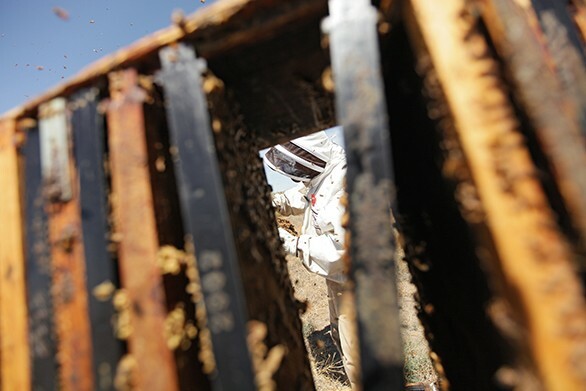 Olson's Honey Field Supervisor Matthew Shakespear inspects a bee hive frame. 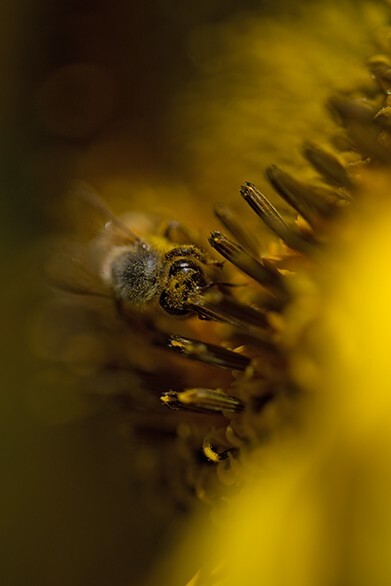 A bee pollinates a sunflower near an Olson's Honey facility. 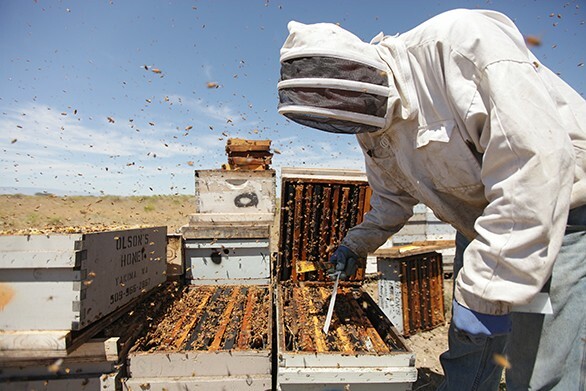 Olson's Honey Field Supervisor Matthew Shakespear holds an enclosed queen bee. 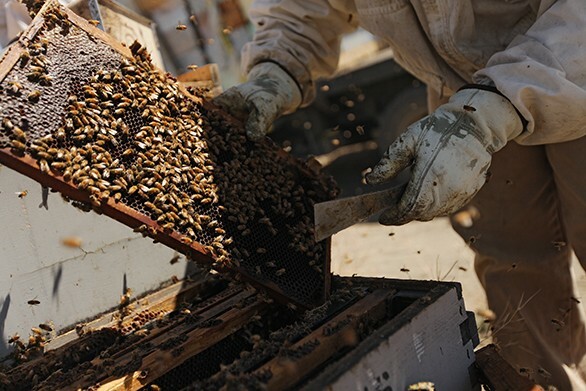 Olson's Honey bee hives and frames are photographed during sorting. 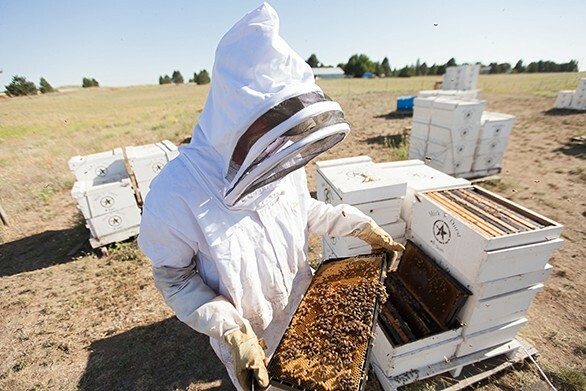 Olson's Honey employee Furmin Lua smokes a bee hive before inspecting the frames within. 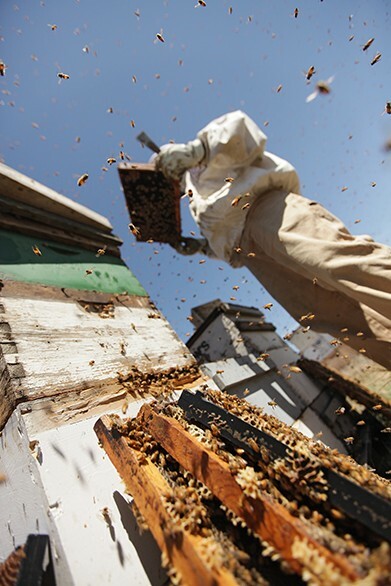 Olson's Honey employee Furmin Lua inspects a bee hive frame. 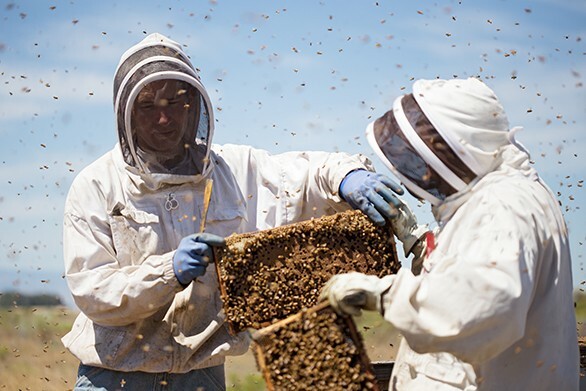 Olson's Honey Field Supervisor Matthew Shakespear, left, and employee Furmin Lua trade bee hive frames to inspect. 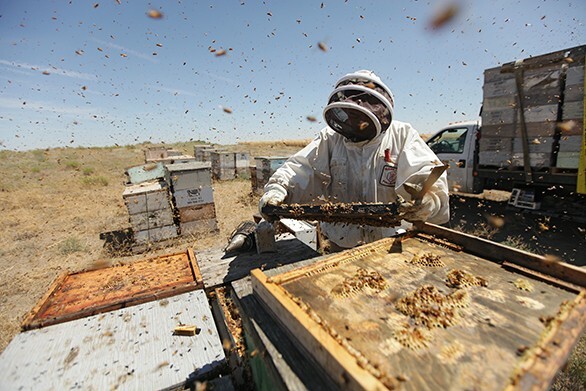 Olson's Honey Field Supervisor Matthew Shakespear prepares to remove a frame from a bee hive.